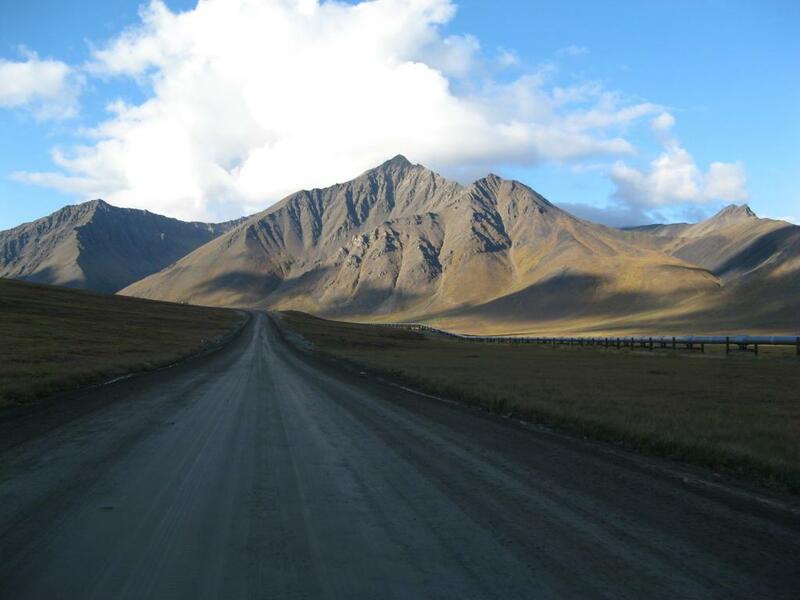 I'm finally getting around to posting a few pictures from the trip up the Dalton Highway to Deadhorse (Prudhoe Bay). 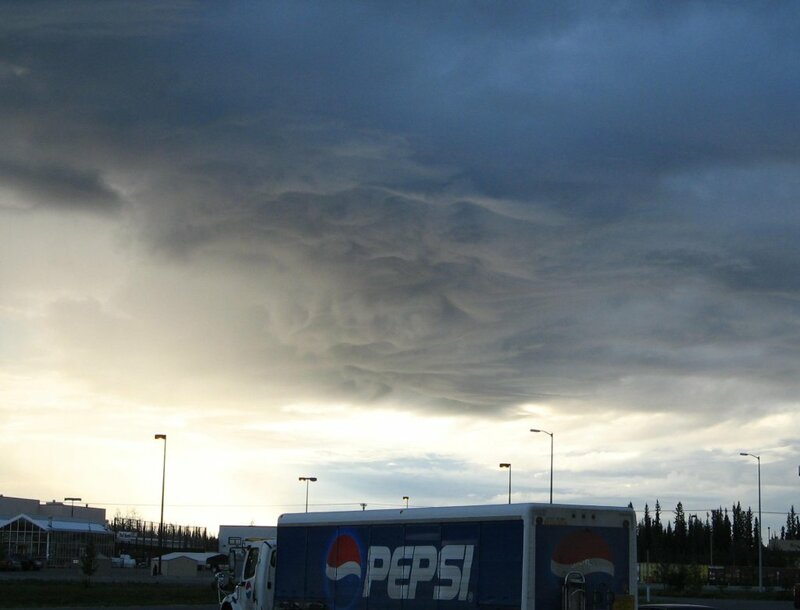 This first picture is of the crazy sky in Fairbanks the morning of the drive. I shot this picture in front of the Wal-Mart at around 8:30 a.m. I stopped there to get water, food, gas tanks, and a tire-repair kit. 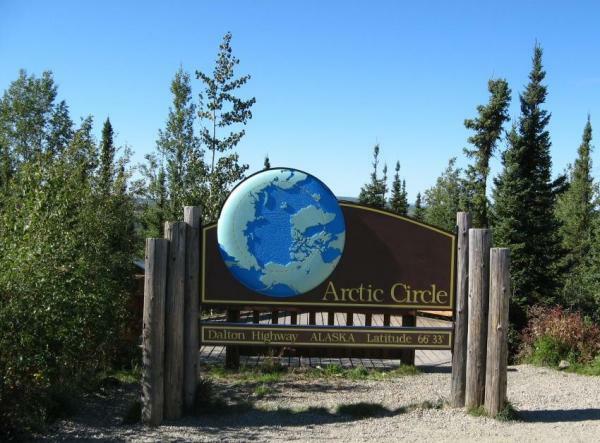 Next, here's a picture of the Arctic Circle sign. This sign is in a small area just off the highway. 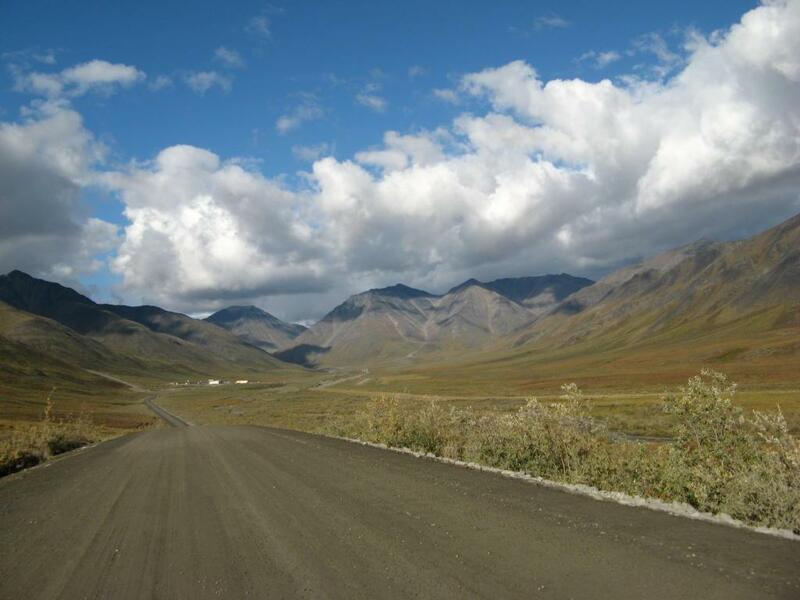 Next, here's a pretty typical picture from the Brooks Range area. I took about 400 pictures in this area, but a lot of them have this look and feel. Here's another one from the Brooks Range, this time including the pipeline that accompanies you on the drive. 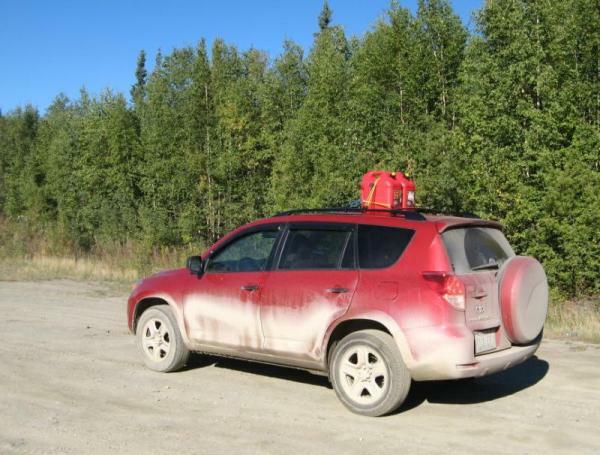 Finally, here's a picture of the RAV-4 at the gas station in Coldfoot. I took this picture on the way back, after already making it up to Deadhorse. It's a pretty messy drive.